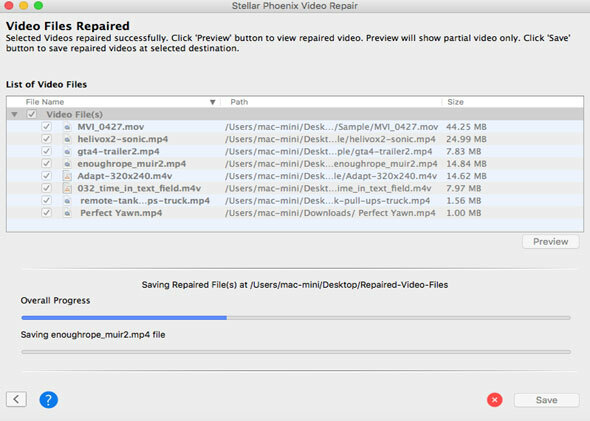 Stellar Phoenix Video Repair is an advanced software to repair corrupt or damaged video files from any storage media. The software supports repairing MOV, MP4, M4V, M4A, WMV, ASF, 3G2, 3GP and F4V video file formats due to header, format, duration, movement, and other kinds of corruption. You can use the below mentioned steps to repair corrupt or damaged video files on Windows or Mac. How to Repair Corrupt Video Files on Windows? How to Repair Corrupt Video Files on Mac? Video Repair Windows Guide: How to Repair Corrupt Video Files on Windows? 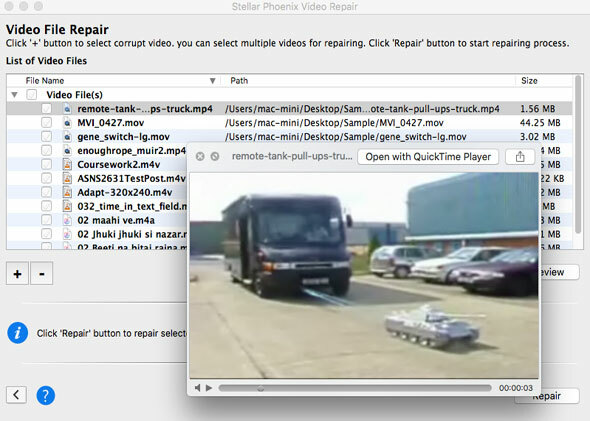 Free Download provides preview of repaired video files with sizes less than or equal to 10 MB. 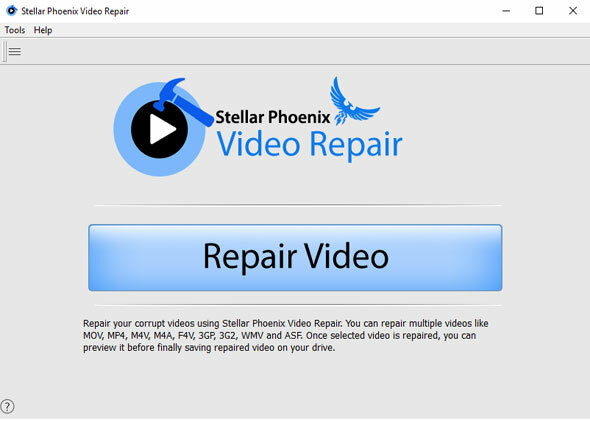 Step 1: Download, install and run the Stellar Phoenix Video Repair. Click on ‘Repair Video‘. Step 2: Use ‘Add‘ and ‘Remove‘ button to add or remove video files. 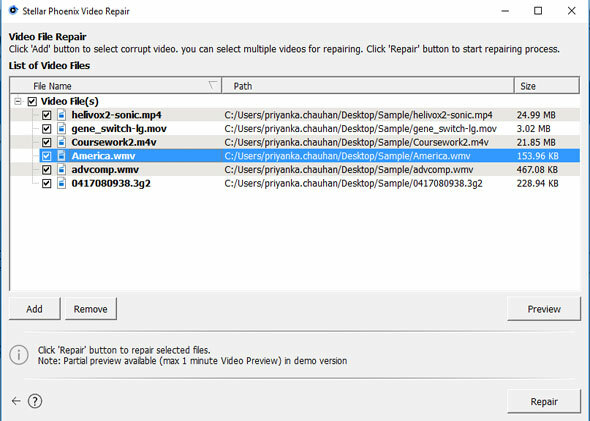 Step 3: Select the any file and click on ‘Preview‘ button to see the review of corrupt video file before video repairing process. Step 4: Click on ‘Repair‘ button to start Video Repairing process on Windows. 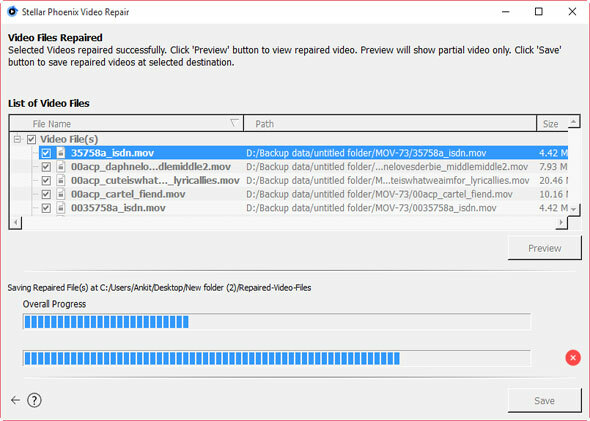 Step 5: Select file from the list and click on ‘Preview‘ button to see the preview of repaired video file. Step 6: Click on ‘Save‘ button to save the file on appropriate destination. Step 7: A saving message will appear on the screen after completion of saving process. You can click the link “View Saved Files” to visit the location. Note: In case you are using “Demo version” of the Video Repair software, you can only preview initial 60 seconds of video from your file. 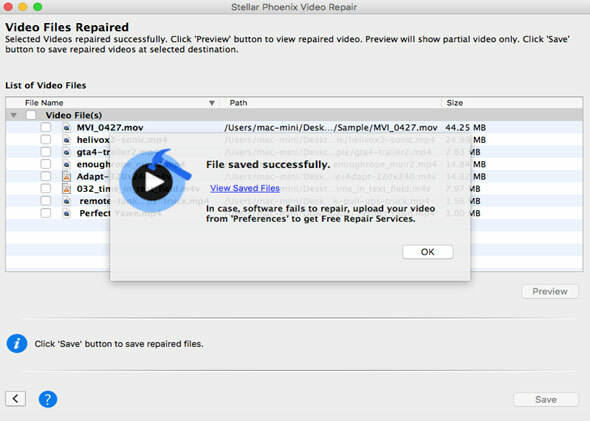 Video Repair Mac Guide: How to Repair Corrupt Video Files on Mac (MP4, MOV, M4V, M4A and F4V)? 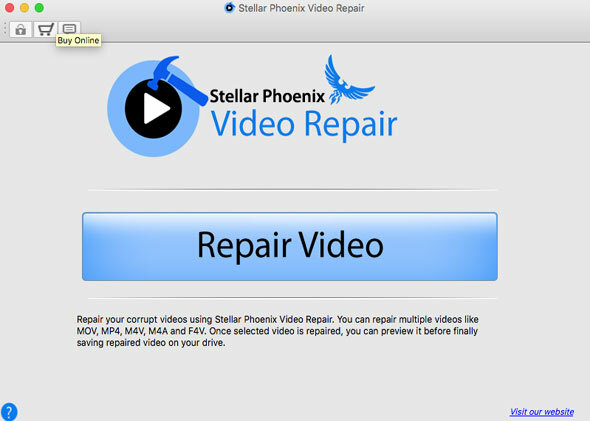 Step 1: Download, install and run the best Video Repair on your Mac. 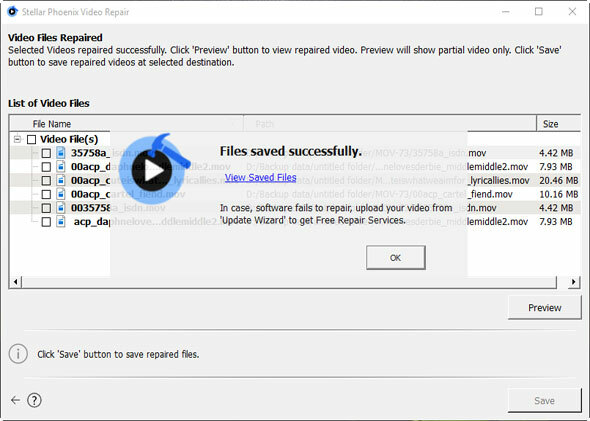 The home screen of the software provides a single button named ‘Repair Video‘. Click this button to go to the next screen and add corrupt video file for repair. 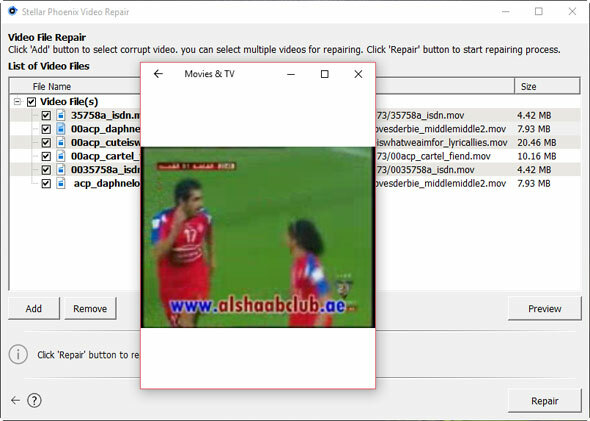 Step 2: This interface of the software allows you to add /remove /select /unselect video files for repair. Click (+) button to add video files from Mac hard drive and other media devices. Click (-) button to remove file(s). Click on the checkbox to select and unselect files. Step 3: In this windows, you can select a video file and click ‘Preview‘ button to launch the preview before repairing process begins. The software demo version provides the preview of video files having size up to 10 MB. Registered version has no such limit. Click ‘Repair‘ button to start repairing corrupt files. Step 4: The software scans and repairs the selected corrupt MOV, MP4, M4A, F4V and M4V files. 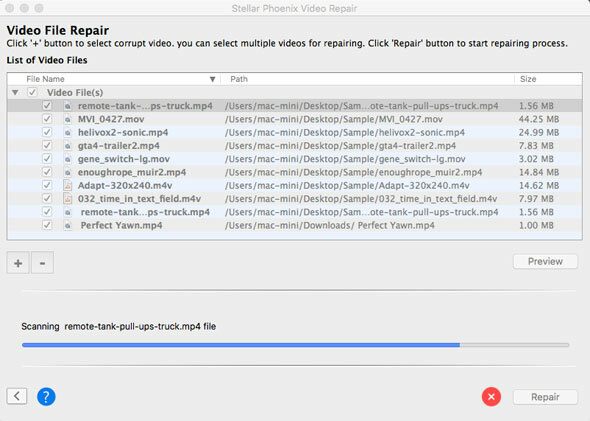 The repair process will be dependent upon the video file size and level of corruption. 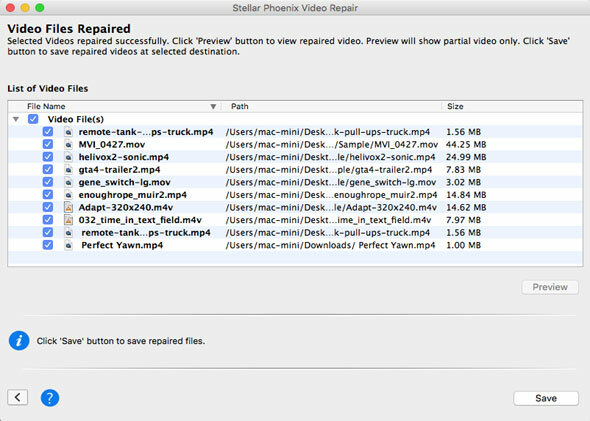 Step 5: Repaired video files will be listed for ‘Preview‘ and ‘Save‘ after the repair process is completed successfully. 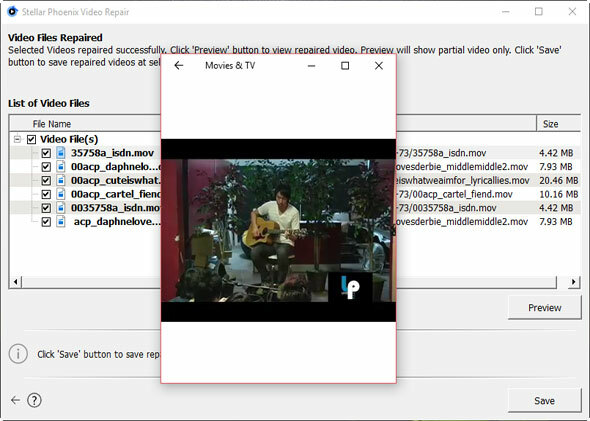 Step 6: You can select repaired video file to launch its preview. Software demo version allows you to launch preview of video files which are less than or equal to 10 MB in size. Step 7: Select all repaired video files using the check-boxes and click the ‘Save‘ button to save the files on internal /external hard drive. Step 8: Click ‘View Selected Files‘ to reach the location where you have saved the repaired video files. That’s All! 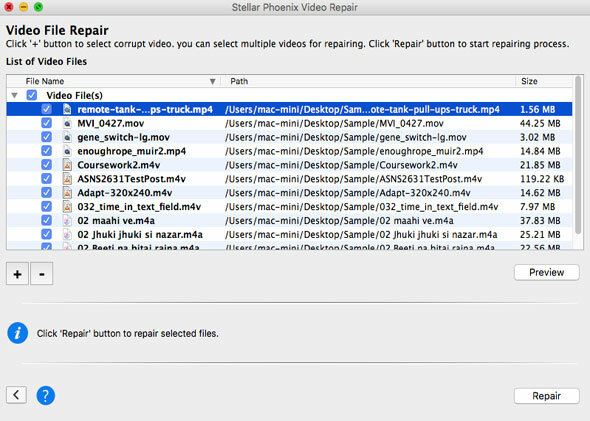 Was this “How to Repair Corrupt Video Files on Windwos/Mac?” Guide helpful? Leave your Comments, Thanks!